Finders Keepers invite you to witness the incredible first ever Buchla synthesiser concerts/demonstrations providing a distinctive feminine alternative to The Silver Apples Of The Moon if they had ever been presented in phonographic form. This is history in the remaking. This spring Finders Keepers Records are proud to release an archival project that not only redefines musical history but boasts genuine claim to the overused buzzwords such as pioneering, maverick, experimental, groundbreaking and esoteric, while questioning social politics and the evolution of music technology as we’ve come to understand it. To describe this records as a game-changer is an understatement. This record represents a musical revolution, a scientific benchmark and a trophy in the cabinet of counter culture creativity. This record is a triumphant yardstick in the synthesiser space race and the untold story of the first woman on the proverbial moon. While pondering the early accolades of this record it’s daunting to learn that this record was in fact not a record at all… It was a manifesto and a gateway to a new world, that somehow never quite opened. If the unfamiliar, modernistic, melodic, pulses, tones and harmonics found on this 1975 live presentation/grant application/educational demonstration had been placed in a phonographic context alongside the promoted work of Morton Subotnick, Walter Carlos or Tomita then the name Suzanne Ciani and her influence would have already radically changed the shape, sound and gender of our record collections. Hopefully there is still chance. In short, Suzanne was a self-imposed twenty-year-old employee of the Buchla modular synthesiser company, San Francisco’s neck and neck contender to New York’s Moog. Buchla was run by a community of festival freaks and academic acid eaters whose roots in new age lifestyles and the reinvention of art and music replaced the business acumen enjoyed by its likeminded East Coasters. In the eyes of the consumer the creative refusal to adopt rudimentary facets like a piano keyboard controller rendered the Buchla synthesiser the more obscure stubborn sister of the synth marathon, steering these incredible units away from the mainstream into the homes and studios of free music aficionados, art house composers and die-hard revolutionaries. Championed and semi-showcased by composer Morton Subotnick on his albums The Bull and Silver Apples Of The Moon, Buchla’s versatility began to open the minds of a new generation, but the high-end design features and no-compromise modus operandi was often confused with incompatibility and, in the pulsating shadow of Moog’s marketing, the revolution would not be televised nor patronised. 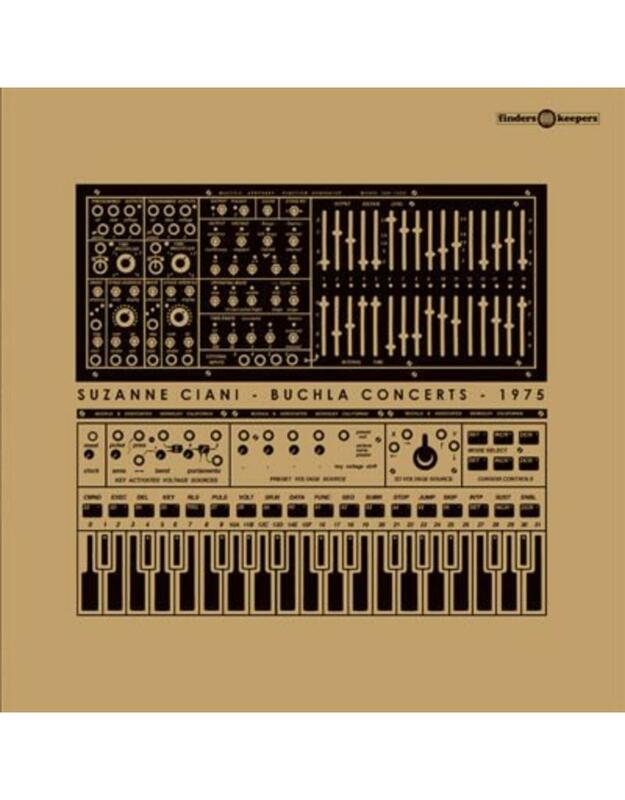 Suzanne Ciani, as one of the very few female composers on the frontline (and also providing the back line) did not lose faith. These “concerts” are the epitome of rare music technology historic documents, performed by a real musician whose skills and academic education in classical composition already outweighed her male synthesiser contemporaries of twice her age. At the very start of her fragile career these recordings are nothing short of sacrificial ode to her mentor and machine, sonic pickets of the revolution and love letters to an absolutely genuine vision of and ‘alternative’ musical future. 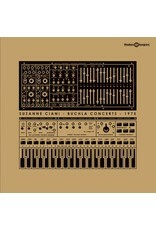 In denouncing her own precocious polymathmatic past in a bid to persuade the world to sing from a new hymn sheet, Suzanne Ciani created a bi-product of never before heard music that would render the pigeon holes “ambient” and “futuristic” utterly inadequate. Providing nothing short of an entirely different feminine take on the experimental “records” of Morton Subotnick and proving to a small, judgmental audience and jury the true versatility of one of the most radical and idiosyncratic musical instruments of the 20th century. These recordings have not been heard since then. The importance of these genuinely lost pieces of electronic musics puzzle almost eclipses the glaring detail of Suzanne’s gender as a distinct minority in an almost exclusively male dominated, faceless, coldly scientific landscape. 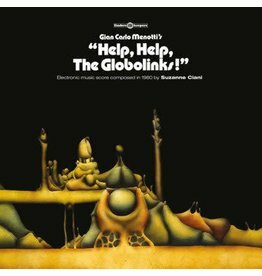 Those familiar with Suzanne’s work, a vast vault of previously unpublished “non-records”, will already know how the creative politics in her art of “being” simultaneously reshaped the worlds of synth design, advertising and film composition before anyone had even dropped a stylus in her groove. Needless to say this record, finally commanding the archival format of choice, courtesy of the Ciani and Finders Keepers longstanding unison, was not the last “first” with which this hugely important composer would gift society, and the future of a wide range of exciting evolving creative disciplines. You have found a holy grail of electronic music and a female musical pioneer who was too proactive to take the trophies. With the light of Buchla and Ciani’s initial flame Finders Keepers continues to take a torch through the vaults of this lesser-celebrated music legacy shining a beam on these “non-records” that evaded the limelight for almost half a century. You can’t write history when you are too busy making it. With fresh ink in the bottomless well, let’s start at the beginning. Again. You, are invited!